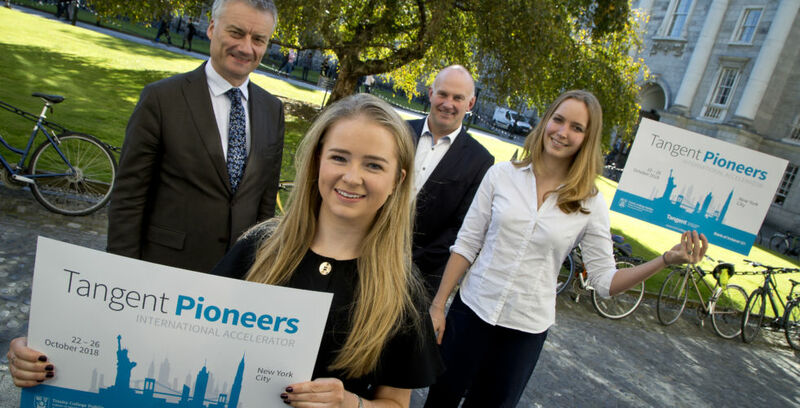 Six Irish startups that met at Trinity, went through LaunchBox, Tangent’s Student Accelerator, and received help and support from Bank of Ireland to get their start, are going to New York for the inaugural Tangent Pioneers programme. The Tangent Pioneers will work for one intensive week in the heart of the New York startup scene, basing themselves in the Bank of Ireland Innovation Lab in Midtown. 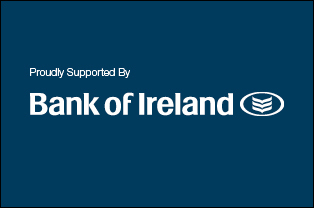 During this week, in addition to setting up customer and investment meetings, they will pitch to the Digital Irish network; talk to Enterprise Ireland about taking their businesses global; meet with Techstars and Blackstone VC; and get a sense of what it is to work, network, and lead a startup in the US. The Tangent Pioneers will be representing Trinity, and Ireland on a global stage for the first time. We spoke to them about their hopes and aspirations before their trip to the Big Apple. Work Smarter started on a very personal note for me, as my father was self-employed in the construction industry for over 30 years. He was great at his job, but when customers paid him late or not at all, it brought him to the brink of bankruptcy a few times. When Anika, my co-founder and I got out there and started talking to freelancers‘ customers, we realised how tough it can be on them as well. Now we’re building a tool that helps both sides manage contracts and payments fairly and securely. I’m originally from Germany, so English doesn’t come naturally to me. I’ve been living in Ireland for a little over a year, and I’m just getting used to the Irish English. The New York accent will be a new challenge. As a German programmer, I’m a very direct person. If I can say something in three words, I don’t use four. From my experience, that’s not how most Irish people or Americans communicate, so I can imagine the pitching style might be different as well in the States. I think that many startup ecosystems have more in common with each other, than with the country they are in. Whether you’re in Dublin, Berlin or California, there are very similar values; drive, commitment and insanity for example. They also don’t value sleep. But I am very interested to see what is unique about the New York startup scene. I used to volunteer for a large charity in London, coordinating their collection boxes and buckets. I was told I had a travel allowance and could use a taxi if needed, to pick up a collection box which had a maximum capacity of £32 in coins. This doesn’t really make sense when every pound counts. So, Change Donations tackles two problems faced by non-profits today: a looming cashless society, and a lack of trust and transparency. Willie’s from Washington, Lizzy’s from San Fran and I’m from London. We’ve loved studying in Dublin and working on our startup, and we’ve found most people are incredibly generous with their time to give us insights and feedback. As we head off on the Tangent Pioneers programme, I’m personally really intrigued to find out how receptive the non-profits in the US will be. And it’ll be an honour to represent Trinity, and Tangent, on a global stage. At Seapunk we hand-harvest wild Irish seaweed off the coast of Co. Sligo for use in our own line of food and beauty products. I met the founder of Seapunk, Tommy, while studying on the postgrad course in Creative Thinking, Innovation and Entrepreneurship at Tangent, Trinity’s Ideas Workspace. We quickly realised that we had a complimentary set of skills to develop the Seapunk business – Tommy knew the harvesting business, and I knew product design. After placing second in LaunchBox, Tangent’s summer accelerator, we qualified for a spot on the Tangent Pioneers programme in New York. I am somewhat nervous about the Pioneers programme; due to our busy schedules over the past weeks, we have not prepared as well as we wanted to, though I look forward getting back into the pitching zone and seeking out new international possibilities for Seapunk. We are grateful for and excited about the opportunity provided by the Pioneers programme to scope out the US as a potential market for Seapunk products in the future. We are very curious to see how a pitch about wild Irish seaweed will be received given the strong tech/digital elements to New York’s startup scene. During our studies at Tangent, we’ve been told that we should treat Ireland as a test market. I expect that the US pitches as a pioneer will have a broad and ambitious scope. It will be a challenge for us to expand our own scope constructively and realistically. I am most excited about experiencing the energy and excitement of a US pitch event and learning from perspectives of our peers from the other side of the pond. Hopefully we can also meet and connect with some influential retail partners and collaborators who can support our future international expansion. In Work Smarter we’re dedicated to providing secure payment and conflict prevention tools for freelancers and their clients. Though I originally studied politics in California, I soon realised I wanted to affect change through business instead. I moved to Dublin to earn my MSc in Entrepreneurship at Trinity College Dublin – which is when I heard about LaunchBox, Tangent’s student accelerator, for the first time. When my co-founder and I had an idea during the programme, we immediately knew where we could start. I’m very excited to be going to New York as a Tangent Pioneer, but I’d be lying if I said I wasn’t a bit nervous about the pitching in particular. My nerves have died down a lot since going through the various pitch sessions this summer, but for me I don’t think it ever becomes easy to stand in front of a crowd. The cultural difference most mentioned by Irish entrepreneurs is that Irish people are unbelievably modest and struggle to sell themselves when compared with Americans – but at the end of the day, this is a generalisation. I definitely tend to understate accomplishments, and I’ve been told to be more American on more than one occasion – I guess I’ve spent too long in Europe. The Irish have left their mark on the States there is more cultural similarity there, than between Ireland or America and some continental European countries. During the Tangent Pioneers program, I’m very excited to talk to companies who have scaled out of Ireland, as going global is our ultimate goal. Bank of Ireland has an Innovation Lab for just those companies in Midtown and I can’t wait to hear their stories. And, I’ve never been to New York, so I’m thrilled to see it for the first time. Change Donations is a platform that connects donors to charities, giving them an easy and convenient way to donate to the causes that they care about most. Our platform allows donors to link their cards to automatically round up their daily purchases to the nearest euro, donating their spare change to the charities of their choice. The Change team met on the Trinity MBA programme, but none of us are from Ireland. Coming from the US and the UK, we had to learn a lot about the Irish donation space in a short amount of time. We quickly discovered our initial market approach would need to change. While in the US donors are incentivised to donate through tax refunds, here in Ireland, the tax relief is provided to the charity itself, so the motivation for donating in Ireland is very different than it is in the UK or US. Assessing this, as well as the societal trend towards convenience, including a move towards a cashless society, we realised that the real market need was for a donation solution that put the donor experience at the centre, tracking their small incremental donations. In this way the added relief is easy to track, making sure the charity doesn’t lose out. I think the biggest (and best) surprise I’ve had since we started Change Donations earlier this year is how supportive the whole Irish startup community is. We have met so many amazing people and have been surprised (and so grateful) for how willing they are to helping us along our journey. As we prepare for our trip to NYC on the Tangent Pioneers programme, I’m really looking forward to connecting with charities and non-profits to better understand the similarities and differences of the third sector in the US and so excited to have the opportunity to join the Irish startup community in NYC. You can follow the Tangent Pioneers on their international journey on @TCDTangent on Twitter. Pictured above are: Dr. Patrick Prendergast, Provost and President of Trinity College Dublin; Michael McLoughlin; Head of Business Banking, Dublin Central at Bank of Ireland; Ciara Hennessy (Greener Globe), and Anika Riley (Work Smarter).